Home » Accessible Applications , Advertising and Marketing , Android , Arch Linux , BSD (Berkeley Software Distribution) , Burning , CentOS , Compiz Fusion , Data storage , Desktop Environment , Editors Blog , Education , Web Browsers , Web Tools , Window System , Xfce , Xubuntu » Top 10 blog posts for June 2014 from Linuxlandit & The Conqueror Penguin. 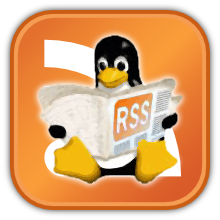 Top 10 blog posts for June 2014 from Linuxlandit & The Conqueror Penguin. 1.- 10 small Linux applications I can't live without. 2.- Calc C-style arbitrary precision calculator. 3.- Multi-Booting the Nexus 7 Tablet: Getting Ubuntu Touch Running. 4.- Multi-Booting the Nexus 7 Tablet: adding ROMs to MultiROM. 5.- Teaching Math with Kig, the KDE Interactive Geometry Program. 6.- Mednafen is a multi-system emulator, driven from the command-line. 7.- Ubuntu 14.04 “Trusty Tahr”: Tips and Troubleshooting. 8.- Ubuntu-Med is the Ubuntu customization for medical environments. 9.- Kitsune is a software aiming at solving digit problem of a famous television game show. 10.- 14 Apps To Boost Ubuntu.